Breanna Corbin grew up spending summers in Alaska, helping at the lodge and on the boats while enjoying the southeast Alaska wilderness. Breanna is a certified Yoga and Pilates instructor and recent graduate of CSU Long Beach. She currently works in the Long Beach and Huntington Beach community providing Yoga and Pilates instruction. 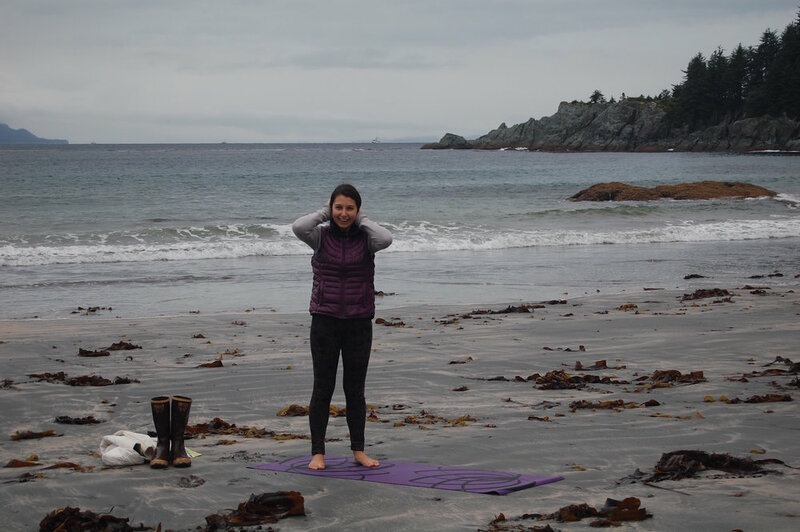 Breanna will be expanding her practice by designing and hosting an Alaskan Wilderness Yoga Retreat for adventuresome individuals who would like to mix yoga with wilderness appreciation. If you are interested please contact us and we will keep you informed as to upcoming trip dates and details. Yoga after an invigorating hike through the Tongass National Rainforest.